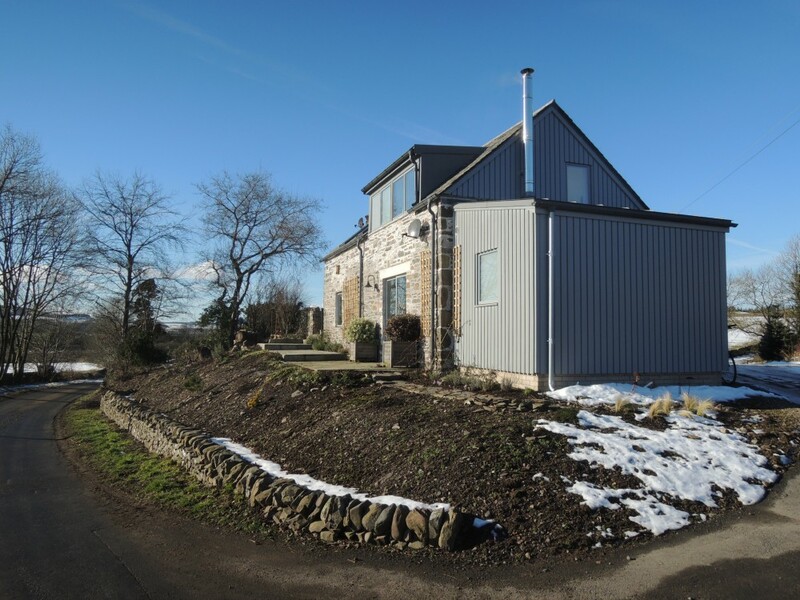 This conversion of a derelict granary provides a two bedroomed holiday house which is highly energy efficient, and has views out over open countryside to the South. 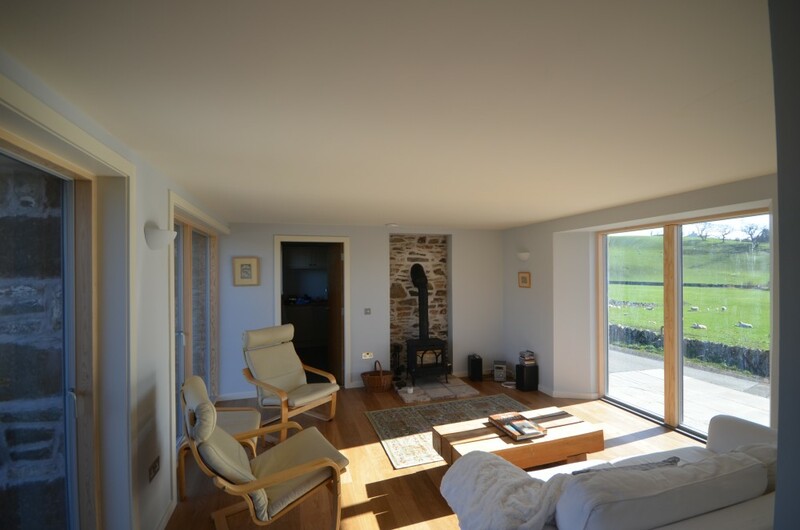 Heating is by means of a heat pump / ventilation system combination which extracts heat from the exhaust air to provide underfloor heating throughout the ground floor. 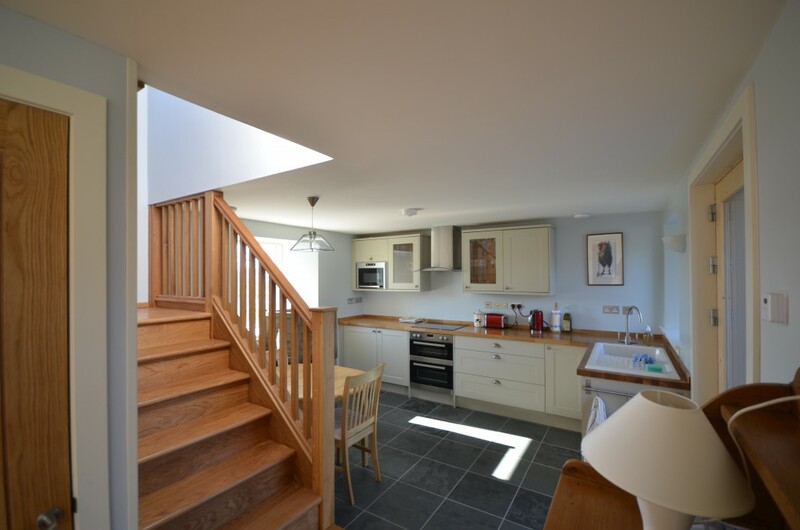 The external walls were built up in stone to provide adequate headroom at first floor level. 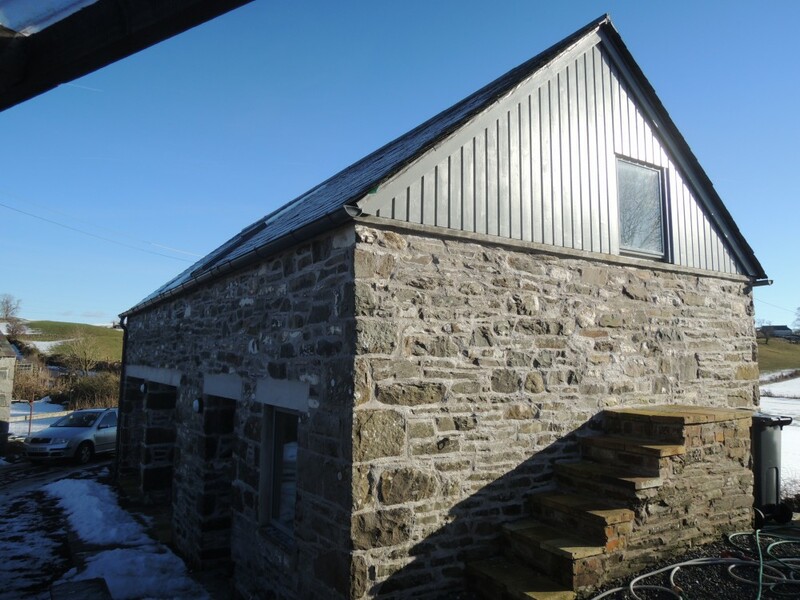 The lean-to extension replaces an old corrugated iron clad store on the gable end.